When buyers think American muscle car the Dodge Challenger continues to be one of the first options that comes to mind. With a bold and aggressive exterior design, handling that would impress the most expert of drivers, and with powertrain strong enough to own any road, the 2016 Dodge Challenger remains a top choice for buyers who value power and craftsmanship from the vehicles they drive. 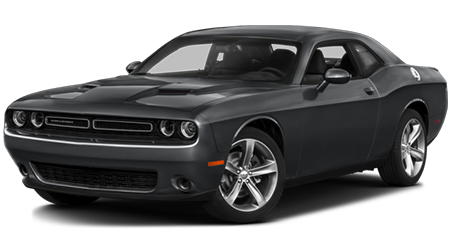 At Lakeland Dodge we carry an excellent inventory of options that includes the powerful 2016 Dodge Challenger. Visit us in Lakeland, where we service patrons from Wesley Chapel, Tampa, Brandon, Wauchula, Brooksville, Orlando, St.Cloud, Kissimmee, and Winter Haven as one of the premier dealership in the area. Our team of customer-service experts are waiting to meet your car-buying needs. The 2016 Dodge Challenger is nothing short of an impressive vehicle. Dodge continues to offer a dizzying amount of choice with this version of the coupe and drivers should be impressed with the number of options they have to choose from. When you are ready to get a 2016 Challenger on the road, visit us at Lakeland Dodge to discover one of the best car-buying experience in the entire Lakeland, FL area. We are located at 2335 Highway 98 N Lakeland, FL 33805, stop by to test drive any one of the excellent versions of the 2016 Dodge Challenger we have in stock. Our team of customer-service experts are waiting to help meet your car-buying needs. We look forward to serving you today.